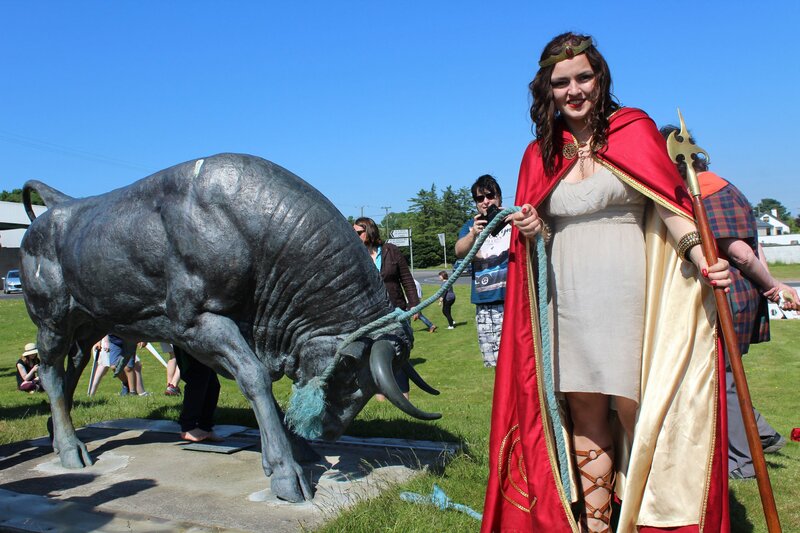 The Táin March begins in Rathcroghan in Co Roscommon, where Queen Maeve began her quest for the Brown Bull of Cooley and ends in Bush, Cooley, Co. Louth on the June bank holiday. 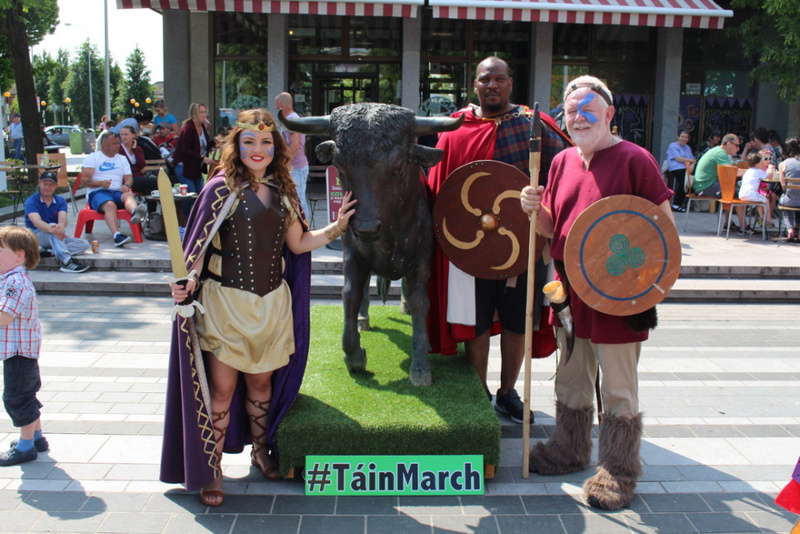 The Táin March itself is the physical act of walking from Rathcroghan site in Roscommon all the way to Cooley in County Louth. This takes place over three weekends and 12 walking days in total. Through fields, over mountains and wading through streams the marchers follow Queens Maeve’s route in pursuit of the Brown Bull. 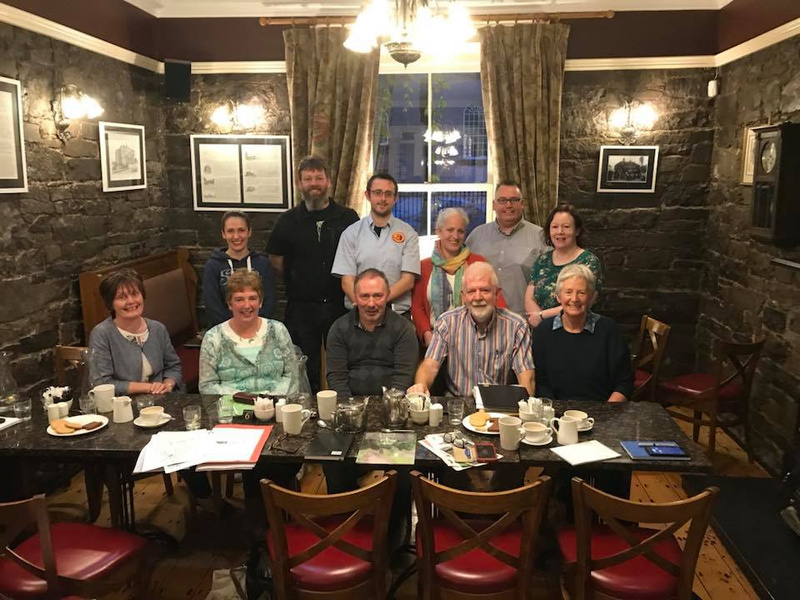 At key towns and villages the local community organises events, receptions and parades to welcome the Marchers. 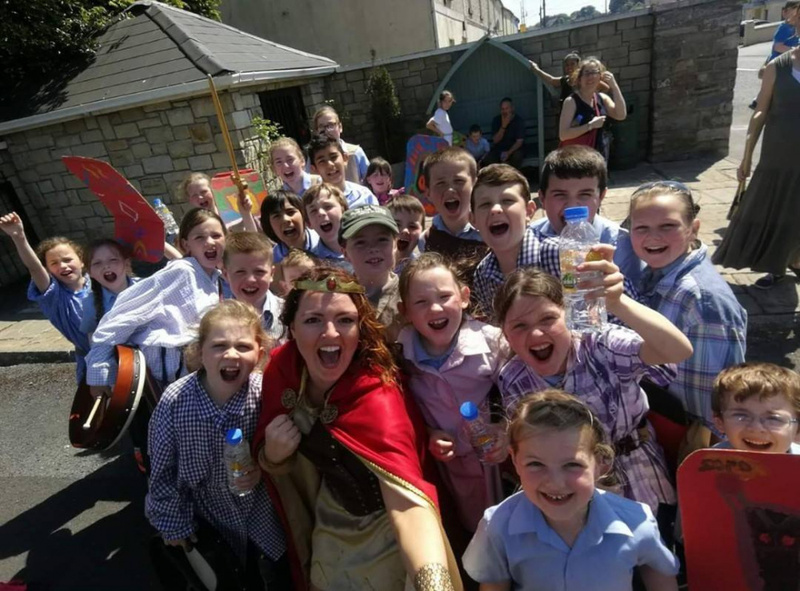 The education programme focuses on schools and youth projects and takes the form of half day workshops that introduce the key characters, explain the story, link the story to the local community and most importantly they have lots of fun. 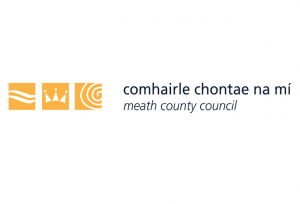 The education programme has grown from 4 schools in the first year to 31 in previous years, right from Roscommon to Omeath. The third area is the Hedge School programme and this normally happens in the evening at one of the rest points. 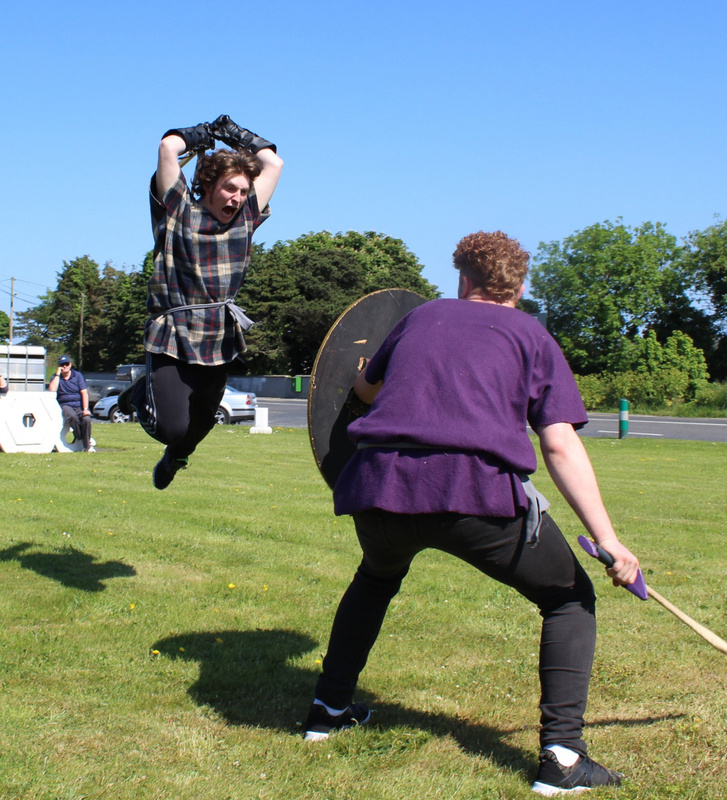 The hedge school element can be a historical lecture, a drama piece, an evening of music or an interpretive dance and draws principally on the local talent in communities.